Spain and Latin America share not only the Spanish language, but also an intertwined history arising from dynamic, sometimes violent encounters, shaped by uneven power relationships and vibrant resistance. In this program, students will engage in intensive language study and explore cultural production by Spaniards and Latin Americans in historical context. Each week includes seminars on readings in English, Spanish language classes, a lecture or workshop in Spanish, and a film. Writing assignments include seminar responses, synthesis essays, and some creative work. Note: Spanish language classes are integrated into the program—students do not have to register for them separately. We welcome students with any level of Spanish, from beginner to advanced. Fall quarter (taught by Alice Nelson, Catalina Ocampo, Eli Velasquez-Estrada, and Ethan Rogol) will explore cultural crossings in the Spanish-speaking world before the 20th century and examine cross-linguistic and cross-cultural negotiation. We will study the coexistence of Jews, Christians, and Muslims in medieval Spain and the suppression of Jewish and Muslim communities during the Spanish Inquisition. We will focus on encounters and clashes between Indigenous and European cultures after the arrival of Europeans on the American continent, and resistance by Africans forcibly brought to the Americas as slaves. Finally, we will turn to Latin America's struggles for independence and analyze to what extent they changed or reproduced colonial institutions.Winter quarter (taught by Alice Nelson, Catalina Ocampo, Eli Velasquez-Estrada, and Ethan Rogol) will turn to the 20th and 21st centuries, considering multiple perspectives on iconic historical and cultural events. We will compare the experiences of Spaniards in the aftermath of the Spanish Civil War with Chile’s democratization in the wake of the Pinochet dictatorship. We will examine the roles of cultural forms for posing complex questions about collective memory and self-determination. Another issue is the status of Spanish vis-à-vis local languages in Spain and Latin America, as societies continue to grapple with the linguistic legacy of colonization. We will also explore how, as a result of sometimes-violent displacements and globalization, migrants from across the Americas have developed complex border cultures. In each of these situations, marginalized groups have challenged “the official story” and seized opportunities to create counter-narratives through literature and film. In winter students may choose between a research project and community work. 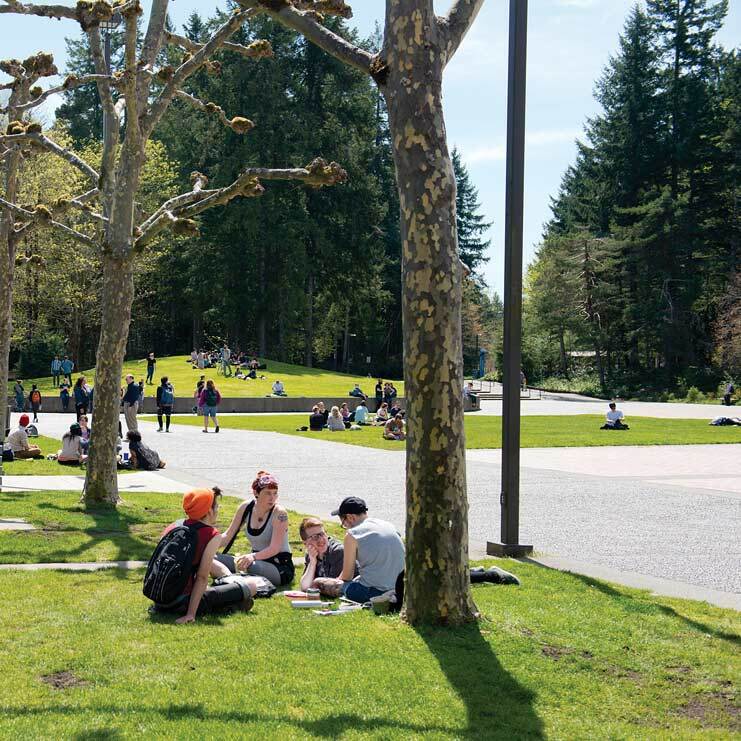 The research option allows students to investigate an area of interest, preferably connected to their spring quarter plans. The community work is intended to build cross-cultural skills. Spring quarter (taught by Alice Nelson, Catalina Ocampo, and Eli Velasquez-Estrada) offers two options for study abroad, and an internship option for those who stay on campus. The Santo Tomás, Nicaragua, option is coordinated with the Thurston-Santo Tomás Sister County Association and its counterpart in Nicaragua and is open to four to eight intermediate/advanced language students. The Mérida, Mexico option is coordinated with HABLA Language and Culture Center, and is open to 15 or more students of all language levels. For students staying in Olympia, the program will have an on-campus core of Spanish classes and seminars focused on Latinx communities in the U.S. and the opportunity for student-originated projects and/or internships. All classes during spring quarter, in Olympia and abroad, will be conducted entirely in Spanish. Latin American and international studies, literary and cultural studies, Spanish language, politics, history, education, film studies, writing, and human and social services. $150 per quarter for overnight field trips. Students remaining on campus spring quarter may intern with organizations serving local Latinx communities. Students must complete an in-program Internship Learning Contract in consultation with the faculty and Academic Advising. Please go to Individual Study for more information. 2018-07-13 Diego de Acosta has left the teaching team. Catalina Ocampo has joined the program. Admission will be based upon a Spanish language assessment. Please contact faculty at Academic Fair (November 28, 2018) or via email ( nelson@evergreen.edu and deacostd@evergreen.edu ) for more information. Admission will be based upon a Spanish language assessment. Please contact faculty at Academic Fair (March 6, 2019) or via email ( nelson@evergreen.edu and deacostd@evergreen.edu ) for more information.